We want to hear about your recent achievement. We love celebrating the success of our students and graduates and hearing how ACHSers are putting their training to work––for their families, in their communities, and within the industry. 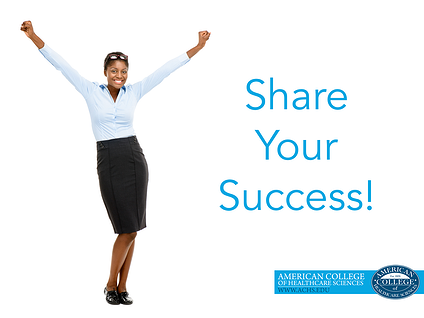 Share your story and help inspire budding holistic health professionals that are just getting started!